Last month the founder/editor of Natural News and NewsTarget.com, Mike Adams, the Health Ranger, reported in a podcast that Russia has embedded so-called “mole nukes” off U.S. coastlines, according to an admission by a former Red Army colonel and spokesman for the Russian defense ministry, Viktor Baranetz. What would be the purpose of planting nuclear devices off American coastlines? Adams, in his podcast, noted that the bombs are designed to burrow into the ocean floor – perhaps to conceal themselves and make them difficult if not impossible for U.S. and Western undersea sonar arrays to detect – that would be set off in times of conflict. The devices would create massive tsunamis that would then sweep over coastal areas with radiation-contaminated tidal waves, destroying everything in their path and rendering entire regions uninhabitable for a century. “Is this guy telling the truth? Is it nonsense? Is it posturing? It’s been officially denied by the Kremlin,” but that doesn’t necessarily mean anything at all, Adams said, adding that he doesn’t believe anyone is analyzing this potential threat correctly. Such detonations could send massive tsunamis hurtling towards U.S. coastal cities, destroying them and in the process killing millions of Americans, Adams commented. And if that were to happen, our government and our financial sector, for certain, would be devastated in a single attack. Now, it seems, others are picking up on the theory Adams publicized. 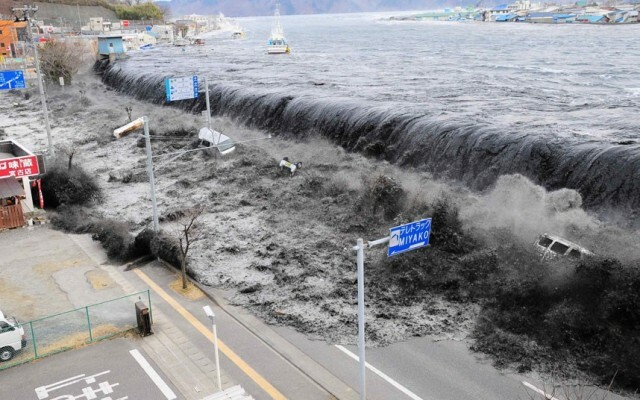 A May 1 report in the UK’s Daily Mail referenced the very same story and offered the same analysis: That such weapons could, in theory, trigger a massive tsunami that would wipe out entire major cities situated close to the American east and west coasts. Some of those cities include Washington, D.C., New York City, Philadelphia, Boston and Miami on the east coast, and San Francisco, L.A. and San Diego on the west coast. In his interview, which the Daily Mail said was translated by the Middle East Media Research Institute, or MEMRI, Baranetz admitted that Moscow could not hope to outspend the U.S.
Other moves designed to outfox the US are nuclear missiles which can be steered in the air, meaning their trajectory cannot be calculated, he claimed. He said Russia is focused on developing an ‘asymmetrical response’ to America, ensuring both countries would be destroyed in the event of an attack by either. But then, Russia has ‘let slip’ this kind of information in the recent past. As NationalSecurity.news reported in November 2015, Russian TV cameras “accidentally” caught a glimpse of a new nuclear weapons platform that, if it’s being built, would be a game-changer: An underwater submarine-like drone designed to transport a nuclear weapon covertly into enemy port cities. It’s hard to know whether information about “mole nukes” is related to a real system or if it’s propaganda. Baranetz knows that all Russian officials who speak in public are monitored by adversaries’ intelligence services; the trick is figuring out if what they’re saying is genuine. Still, the Daily Mail assessment, coming on the heels of similar conclusions by Adams, is telling.